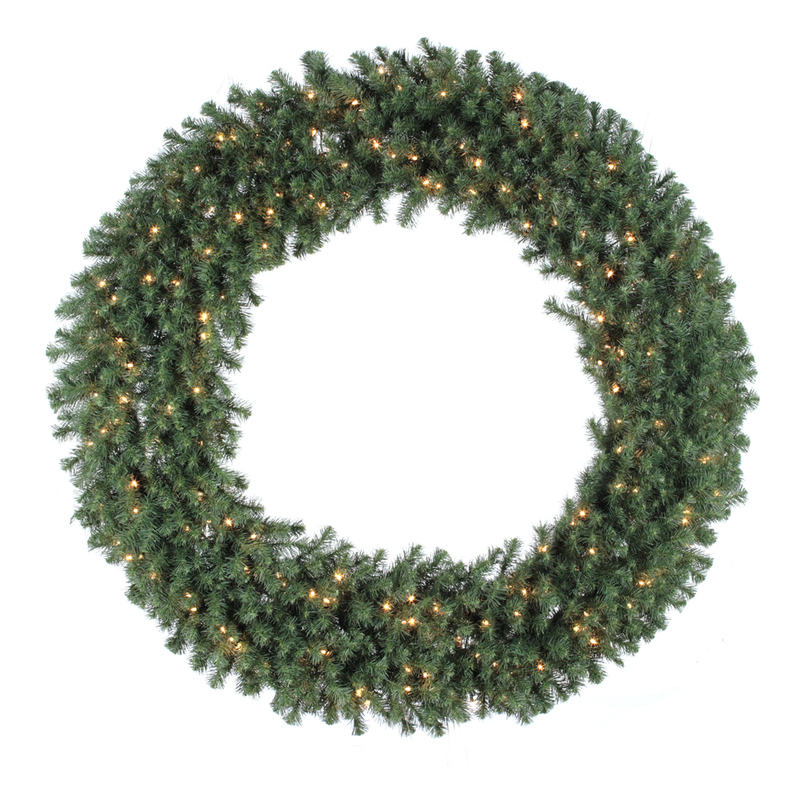 60" prelit Douglas Fir wreath featuring 900 tips and 400 clear Dura-Lit lights. Comes in 3 sections; assembly required. Runs on 120V AC.